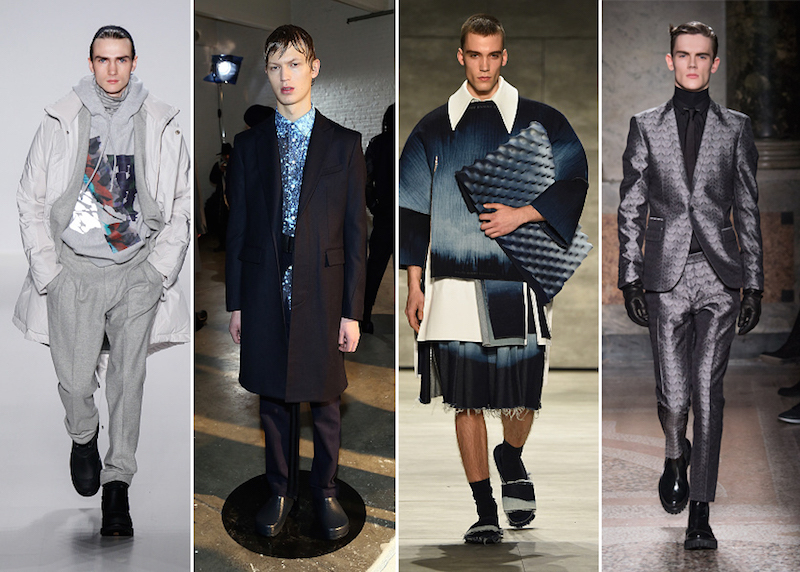 Check out what New York Fashion Week is offering up for Men. 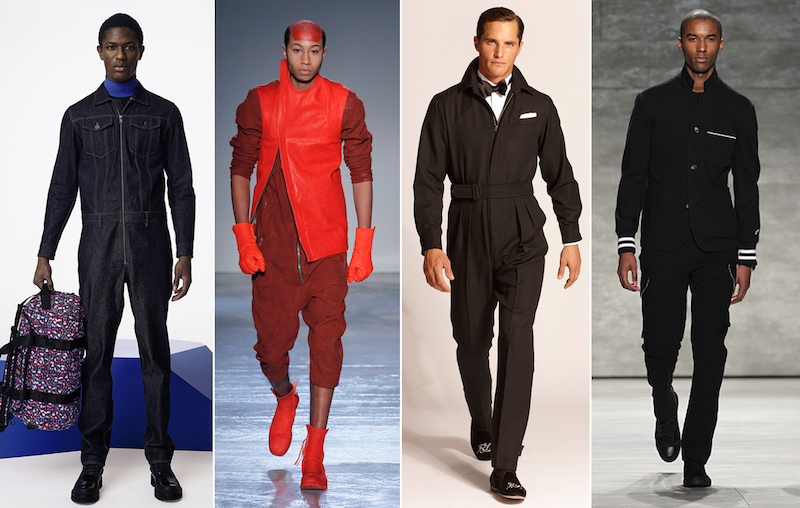 With men getting their very own spotlight this coming July (Men’s Spring/ Summer 2016 New York Fashion Week that it! 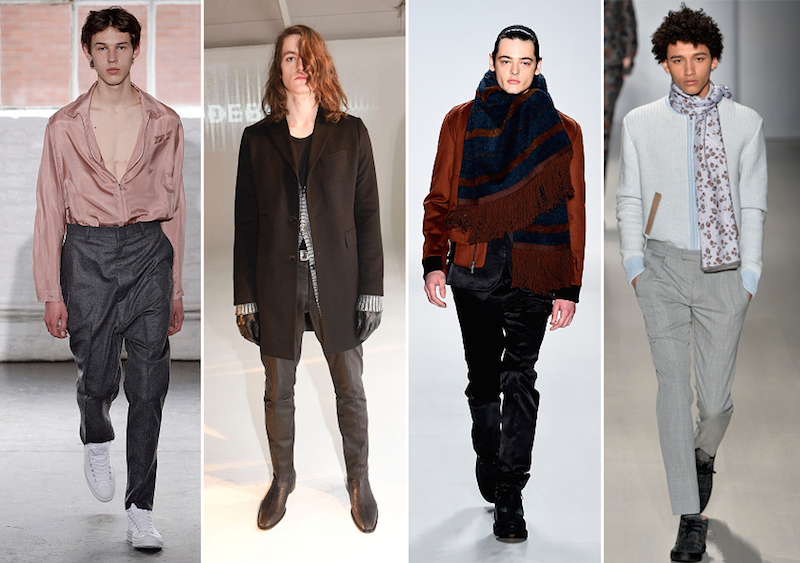 ), and this being the last season to show with the girls, the menswear collections in NYC set its own powerful charge for Fall 2015. 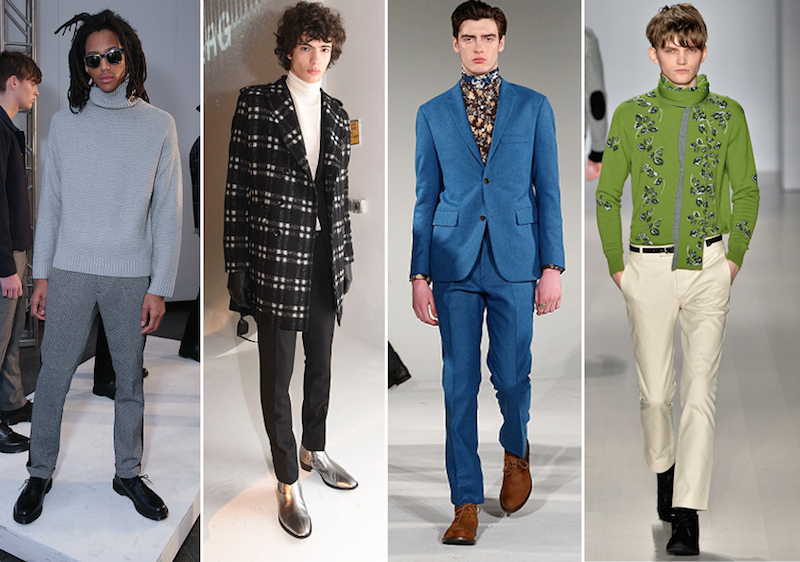 From groovy ’70s threads, to gender-neutral dressing, check out what’s on tap for men next fall as served up on the New York runways. 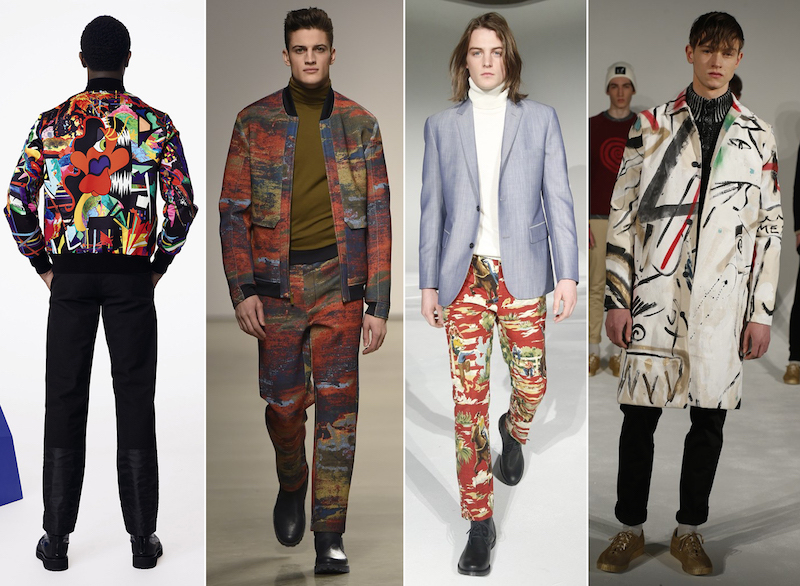 Cartoonish painterly prints on sweaters, jackets and trousers were a playful yet masculine uniform for weekendwear at the men’s collection. In model order we have Marc by Marc Jacobs, Perry Ellis, David Hart and Lucio Castro. Castro led the charge taking inspiration from the Sixties TV movie “Ubu Roi” by Jean-Christophe Averty. Designers love the internet. Richard Chai, Fingers Crossed, V Files and Les Hommes offered a whole new element of expression in their lineups creating digital prints reworked into a camouflage patterns and pixilated imagery. The return of the jumpsuit on the London, Milan, Pairs and now New York runways is not just about an appreciation of ‘70s garb (although the groovy decade is the leading trend of the season for both men and women.) It’s about a developing understanding of practical gear, gender-neutral dressing and minimalism. And of course, what Kanye throws usually sticks. From left to right we have Marc by Marc Jacobs, Boris Bidjan Saberi, Ralph Lauren and Todd Snyder. 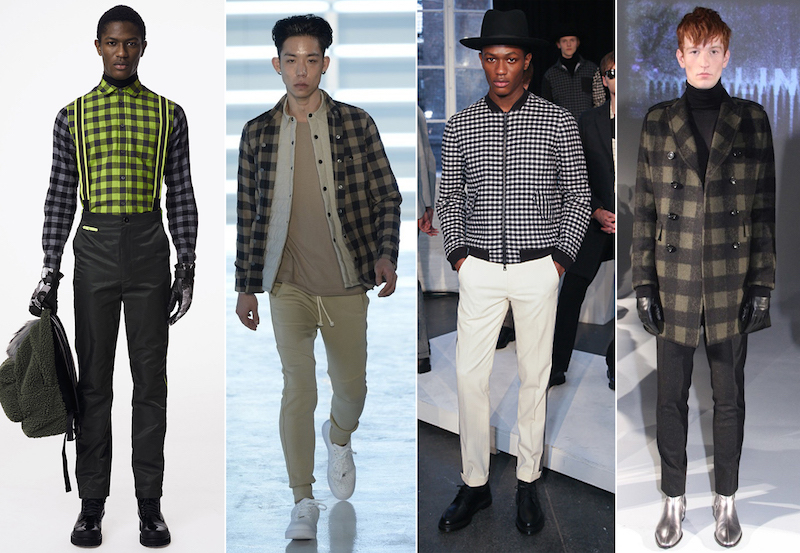 A nod to ‘60s Mod style turned up at Marc by Marc Jacobs, John Elliott + Co, Tomi Weiland and J.Lindeberg in the form of all-American gingham prints that beg to be worn by the type of guy that inspires trips to Coney Island in the fall. 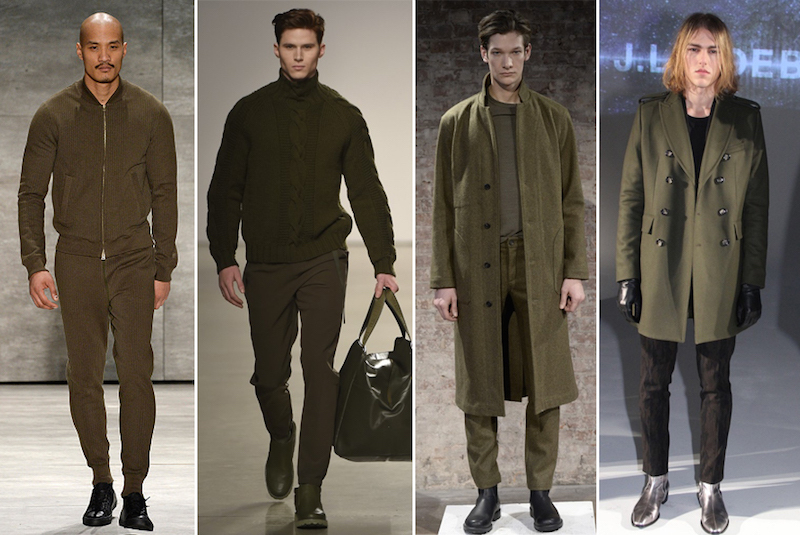 Rich shades of moss green were spotted on the runways at Richard Chai, Perry Ellis, Simon Miller and J.Lindeberg. The olive hue was worn with monochromatic looks proving to be a great neutral substitute for black. Take your look to greener pastures when everything is -50 degrees of grey. The gender-neutral dressing we have already seen so much of continued to dominate at Duckie Brown, J.Lindeberg, Richard Chai and Orley. It was elegant and moody, either way. Seventies rave is back (and not just in terms of men’s hair styles as I pointe out last week.) 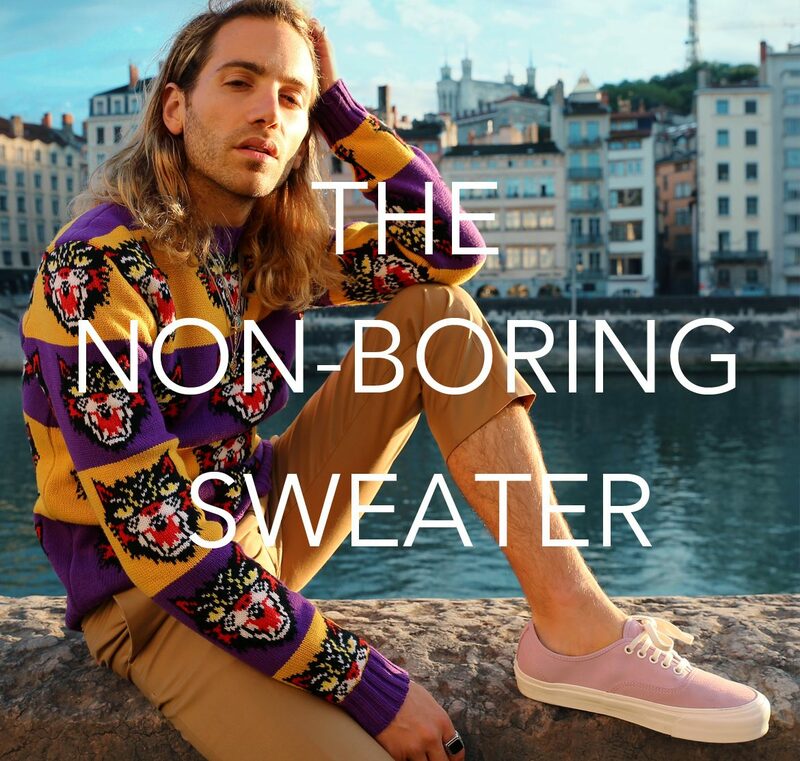 Another nod to the seventies with an honest and innate personal style was made at Timo Weiland, J.Lindeberg, David Hart and Orley. Of course, it wasn’t just the clothes; it was the way in which they were styled. I’m talking those silver boots at J.Lindeberg. 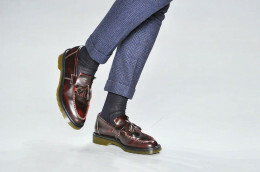 Because loafing around is so much more fun while wearing loafers, obviously. A peek-a-boo knit of course. In an outfit rut? Try a Cuban shirt.